Dubai: Three members of a school were summoned for questioning after a police patrol found a five-year-old kindergarten student walking alone at Dubai International City, a police official said on Tuesday. Brigadier Saeed Hamad Bin Sulaiman, director of Al Rashidiya police station, said a police patrol on Monday found the five-year-old Asian child, who was carrying his school bag, walking on the street all by himself. As it emerged, the boy was on his school bus earlier and had been left behind when other students along with the bus supervisor had disembarked at their school. Subsequently, the boy just got off the bus and started wandering. “It is a case of negligence by the school’s staff,” Brigadier Bin Sulaiman said. A patrol of the ‘School Security’ initiative at Dubai Police took the boy to Al Rashidiya police station where he was identified. Specialists comforted the lost child in the station until his parents arrived. “We verified the child’s identity through his schoolbooks. The school’s principal, bus supervisor and driver were summoned to the station,” Brig Bin Sulaiman added. He stressed on the importance of constant monitoring of children by both parents and school authorities. “Negligence of a child is punishable by law,” he said. 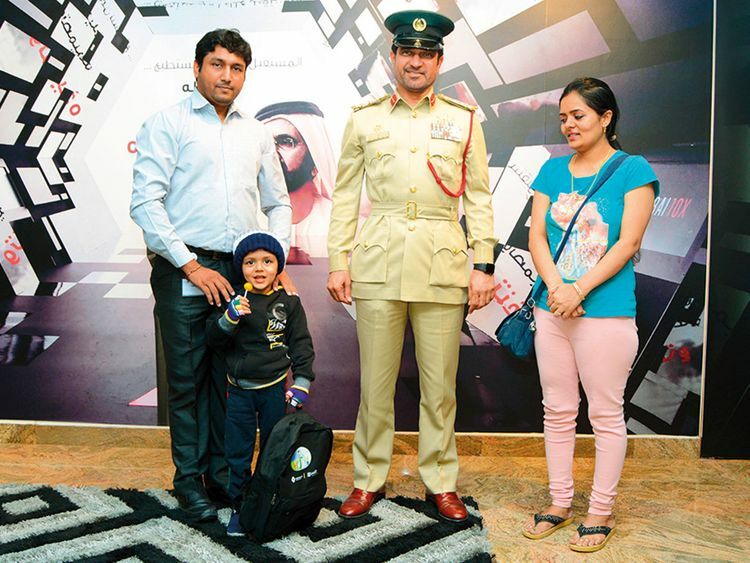 The child’s parents were very thankful to Dubai Police for their efforts in ensuring his safety. Brig Bin Sulaiman praised the efforts of the ‘School Security’ patrol saying the initiative is aimed at reducing crime rate in school surroundings through neighbourhood patrols.